Sugarbag bees produces and sells a range of stingless bee keeping products including a hive stocked with bees, empty hive boxes, roofs and mounts for hives, tools and propolis. See below for a description of these products. TH hives available now. Short wait for TC hives. Want to keep your own stingless bees? You can start by finding your own nest and transferring it to a box. Or you can take an easy path and buy your first hive. We sell Honey OATH hives stocked with a strong nucleus of bees for $550 each. This price includes a metal roof. 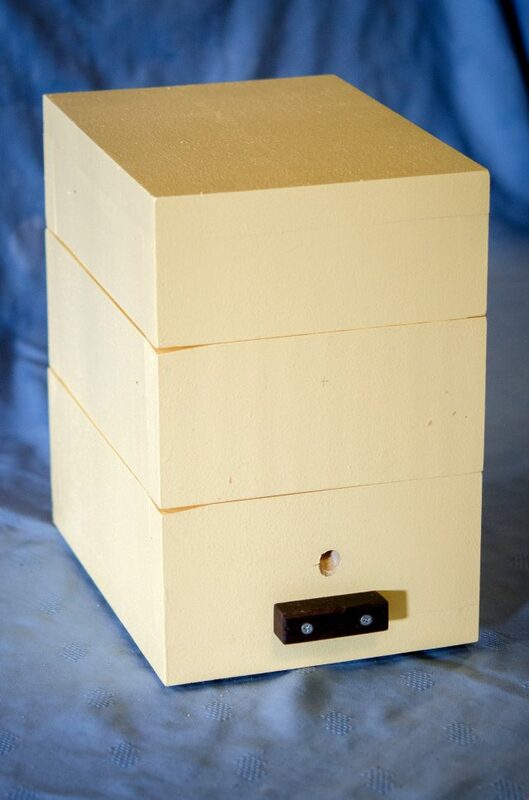 We also sell professionally constructed Empty Honey OATH Hives (no bees). 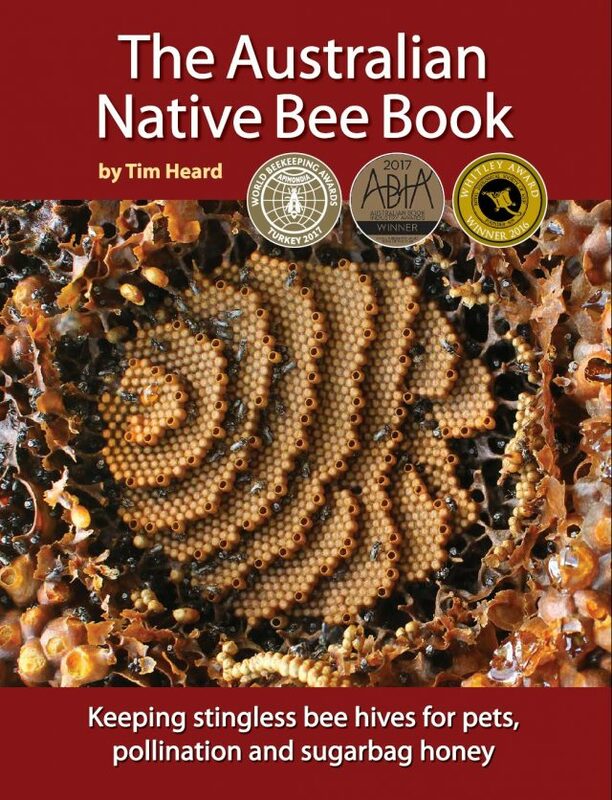 We sell two bee species, each in two hive designs. See details below. We sell Honey OATH hives stocked with a strong nucleus of bees for $550 each. This price includes a metal roof. We sell two bee species, each in two hive designs. See details below. For placing an order to purchase a stocked hive or empty hive box, see below, or alternatively email us (tim@sugarbag.net). For local pickup, we usually have hives and hive boxes available for sale at short notice (dependent on wait list time, see above). For orders outside the Brisbane region we may need up to 6 weeks to prepare a stocked hive for postage. When mailing hives, we charge a postage and handling fee of $50 for Qld or $100 for NSW. Various payment options are available. Where can I keep stingless bees? Where should I position my hive? How do I mount my hive? We guarantee the survival of hives for one year as long as they are treated properly. If your hive dies, we will replace it, free of charge, upon return of the dead hive. Note that we cannot guarantee a hive that experiences temperatures of greater than 40C, receives direct sun after 10 am in summer, is kept outside their natural geographical range, is opened, is split, or has honey extracted. We sell two Australian native social stingless bee species, Tetragonula carbonaria and Tetragonula hockingsi. Carbonaria naturally occurs in coastal areas between Nowra NSW and Bundaberg Qld. This is the most cold tolerant species and can survive in many parts of NSW, including all coastal areas from Nowra north. However as you move inland from the coast and the moderating influence of the ocean, the climate becomes less favourable. This is especially true where you gain altitude. So Canberra and Katoomba are definitely not suitable. Areas where you can grow bananas perennially and they bear fruit, may also be suitable to keep carbonaria. If you get heavy frosts, it may not be suitable. If just an occasional frost, then it could be OK. Remember, they are really a subtropical species. In cooler areas hives need to be carefully sited and managed. Harvesting honey from hives in these areas may not be possible. These bees will not fly below 18 degrees C and they need their stored food to survive through winter. It also may never be possible to propagate your hive in these areas. Certainly people do divide hives and extract honey in Sydney, but usually close to the coast where the extremes of low and high temperature are moderated. If purchasing a hive for location is such areas, we would not be able to offer our usual guarantee if they succumbed to cold in the winter. We also have hives of Tetragonula hockingsi available for sale. This species is more suited to coastal areas of Queensland. 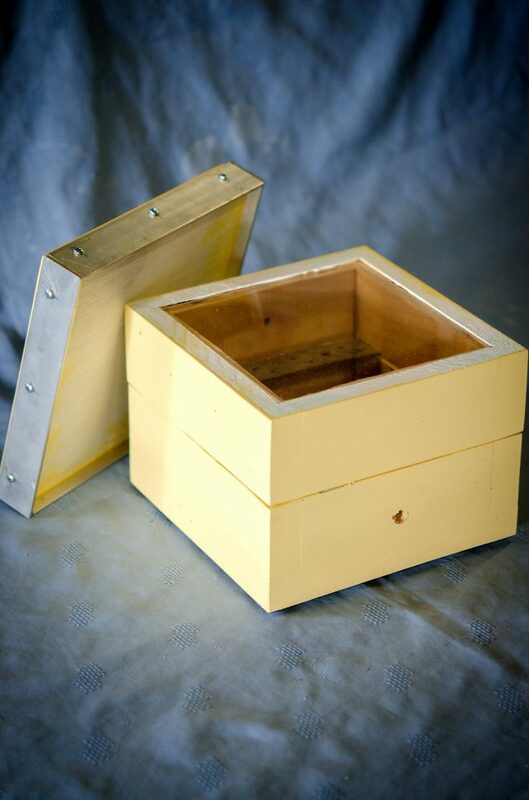 We sell empty hive boxes in four designs: Standard OATH (Original Australian Trigona hive) with observation window, Honey OATH, Mini OATH, and Mini Honey OATH. 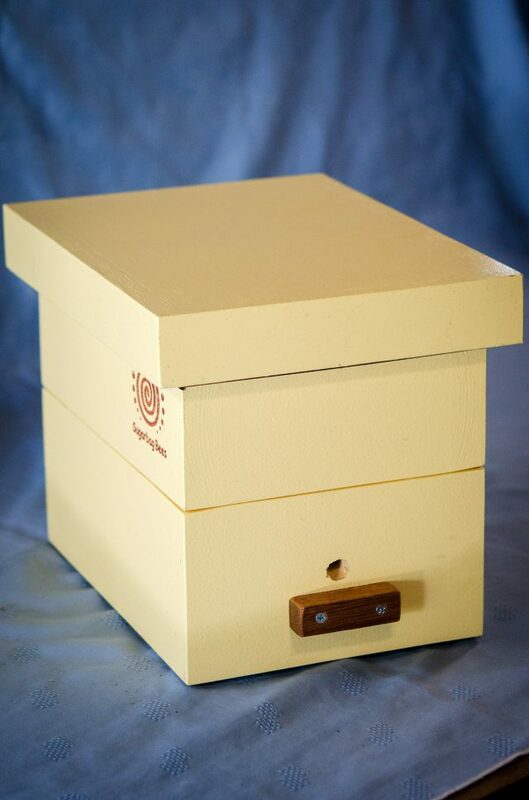 All hive boxes are professionally made, built of 25 mm thick hoop pine or plywood, nailed and glued, and painted (three coats). They are guaranteed to fit together precisely (important for sealing out natural enemies and climatic extremes), and to last for many years. The bottom of the mid section (where you split a hive) has built-in bars to prevent slumping after a split and to allow a clean split. The sections are held together with plastic strapping. The hives have short metal feet and a second hole for ventilation. Strapping is included in the price. 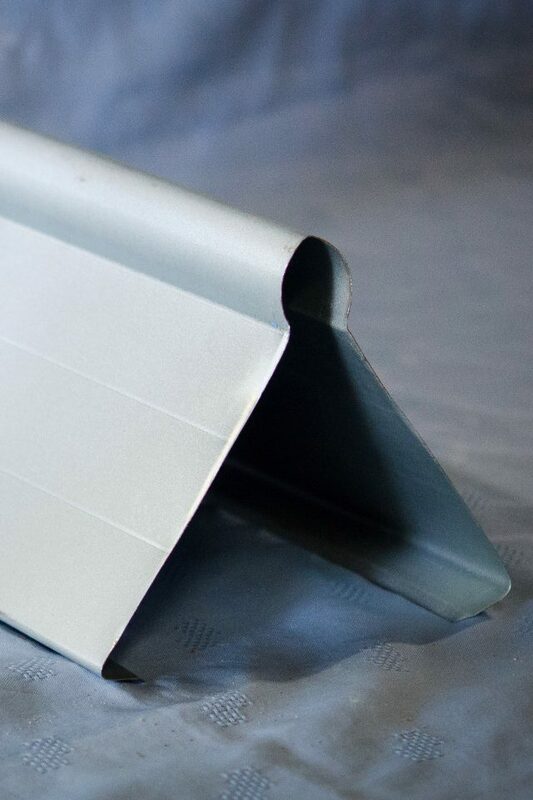 This price does NOT include a metal roof which we recommend if you plan to keep the hive exposed to the elements. The original standard design with an observation window suitable for colony propagation. Our OATHs come with an observation window for internal inspection. 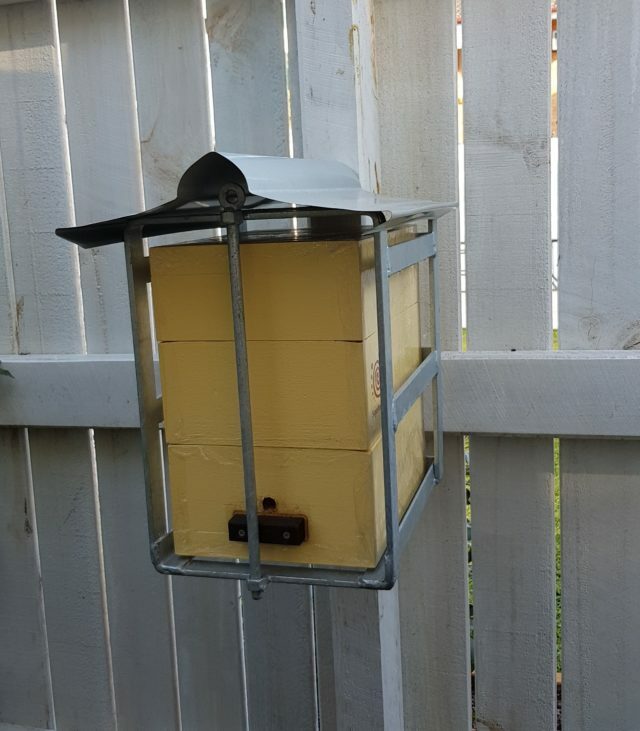 The window is mounted on the top and covered by a removable lid to keep the hive dark and insulated when it is not in use. Windows may be useful when transferring or budding hives, for research and are an attractive addition to hives used for demonstration and education. Approximate internal volume: 7 Litres. The mini OATH suits species with naturally smaller nests such as australis, clypearis, mellipes, etc. Like the normal size OATHs, the Mini OATHs come in both a two section standard with observation window and a three section honey version. The shorter and flatter size reduces the volume. The internal volume of a two-section mini OATH and a three-section mini Honey OATH is 3 litres or 4 litres respectively, which is slightly less than half the internal volume of a normal hive. Just like a wooden house, a wooden hive exposed to the elements needs a protective roof. Use this shelf to mount your hive on a wall or post. A concrete ¾-size block and a 300 mm square paver makes a simple, effective and attractive hive mount. A ¾-size concrete block and a 300 mm square paver makes a simple, effective and attractive hive mount. Place the paver on top for a broader and more secure base for the hive. For stability, you can dig a hole and partially bury the block. 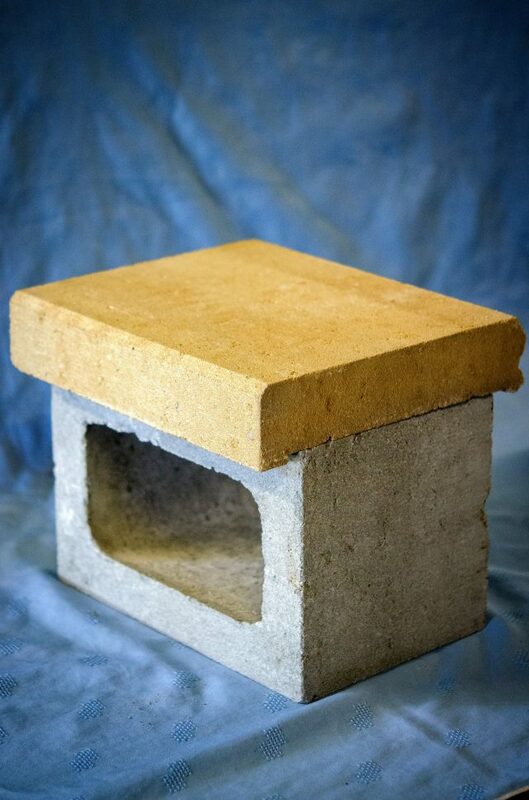 Use a concrete foundation for greater stability. For added strength, secure the block and paver with an adhesive such as “Liquid Nails Landscape”. 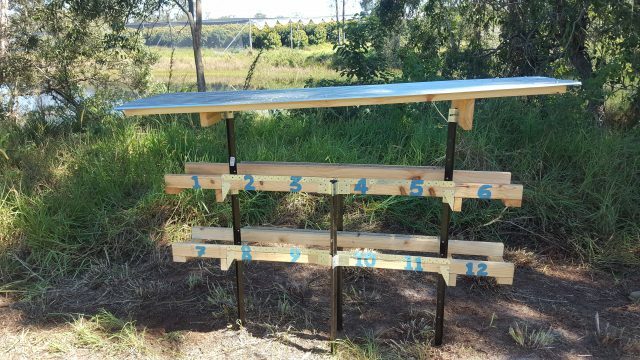 Our welded and galvanized hive stand makes a durable hive stand. Drive the stand into the ground with a mallet. We have both 300mm and 600mm stands in stock. Please note - only 300mm stands can be sent by post. 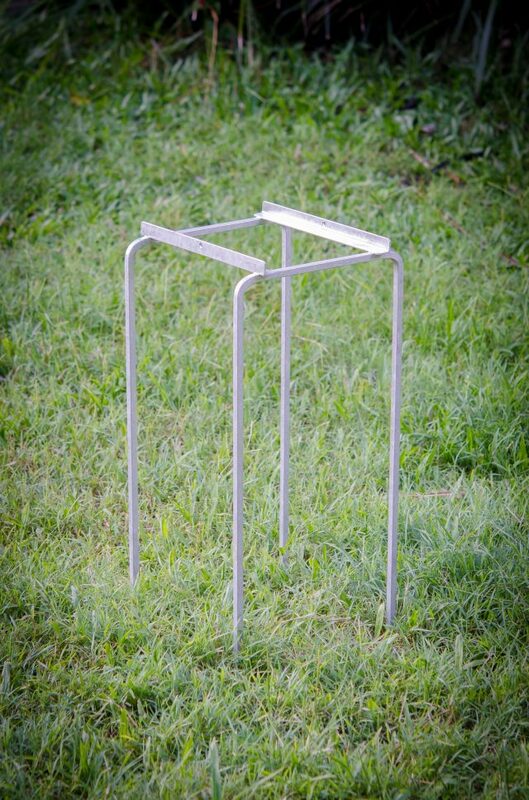 Our welded and galvanized hive stand makes a durable hive stand. Drive the stand into the ground with a mallet. Place the hive on top. 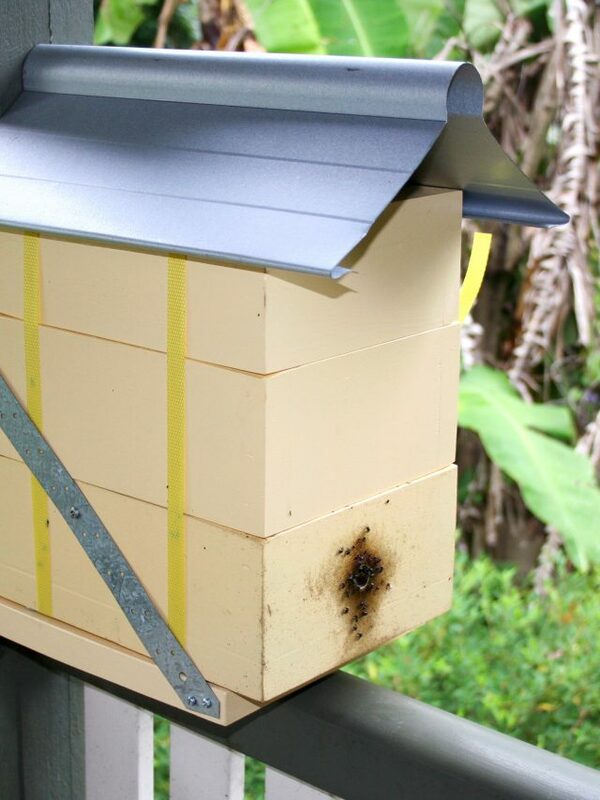 Fasten the hive and roof to the base using a metal emlock strap (please contact us to purchase a metal emlock strap). We currently have both 300mm and 600mm stands in stock. Please contact us to confirm a size to collect. Please note - only 300mm stands can be sent by post. If you select "shipping" for your order we will automatically include the 300mm stand. Many schools, gardens and other public spaces wish to host a stingless bee hive, but risk of theft is a concern. Our new security cage is designed to be screwed into an existing wall or post. The hive is inserted in the front which then covers the screws to prevent their removal. The vertical bar at the front is secured with a padlock (screws and padlocks not included). Hot-dip galvanized. It can be sent in the mail. 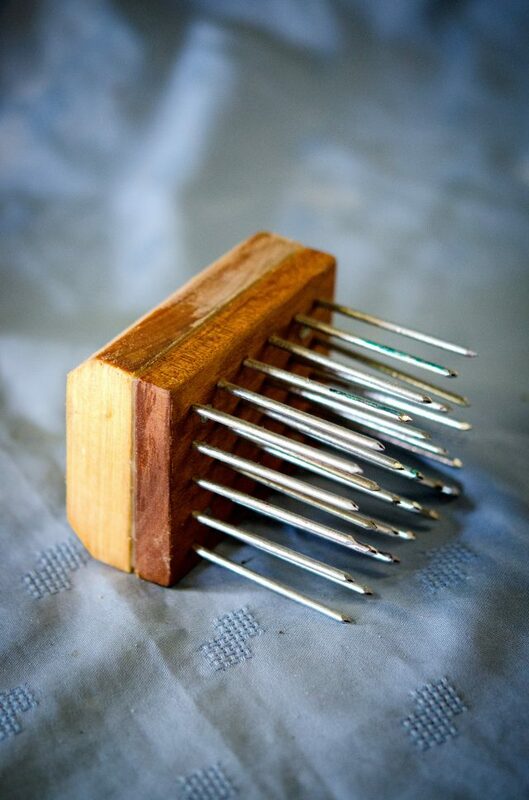 The tool, which resembles a miniature bed of nails is used to pierce the honey pots to extract honey. The American hive tool is ideal for separating hive sections and scrapping propolis. We harvest the propolis sustainably from native bees in artificial wooden hives. The colony is not harmed. Only small amounts of propolis are produced, about 200g per hive per year. Block of propolis (12 g, enough for one or two mouthpieces) AU$7. All you need to extract honey including hive tool, bed of nails, collecting container, storing container. This kit is all you need to start extraction honey from your Honey OATH. It includes a hive tool, bed of nails, container for collecting the draining honey, a 500 ml PET container and new straps and buckles for securing the hive closed after opening. This communal shelter holds 12 hives on two shelves protected by a sheet metal roof. it is sold in a flat un-assembled form. it is easily transported and assembled on location. The legs are 4 Y-pickets driven into the ground and the shelves and roof sections secured by tightening the fasteners, everything included. Sorry but we are not producing Sugarbag honey until further notice. We are focussing on producing more hives, both for sale and to build up numbers. While we are doing this, we cannot produce honey. We apologise for any disappointment, and will advise on our Facebook page if we intend to commence honey production. 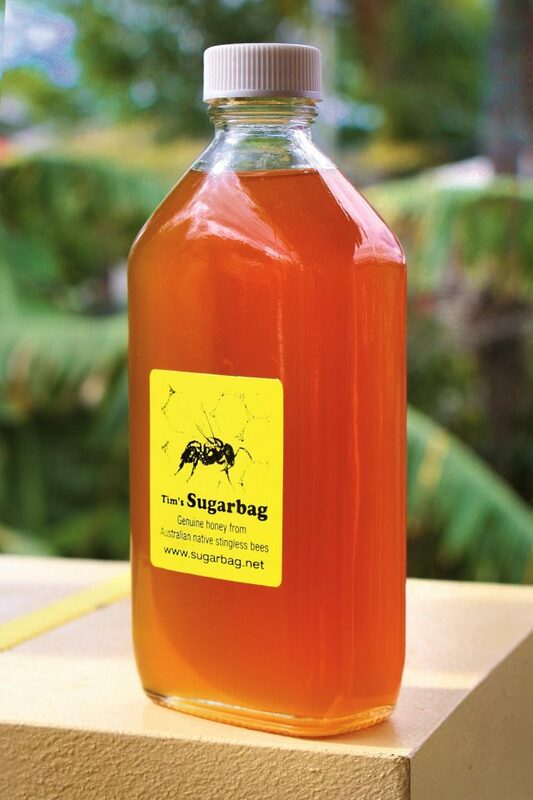 Sugarbag is honey made by Australian native stingless bees. Normal honey is made by honey bees introduced from Europe. Both types of honey are a natural sweet substance originating from the nectar of flowers, which bees collect and transform. But sugarbag has its own special flavour. Try it drizzled over vanilla ice cream or other dessert. Only tiny amounts of sugarbag are produced, less than 1 kg per hive per year and so it is a special product, to be savoured and relished. The $50 jar contains 200 ml.